Nose: Amazingly, the aroma with this brew is unobtrusive and faint, almost like a faint sweet floral perfume – and does not give credence to the amazing burst of flavor that comes with the first taste. Weight and color: A translucent coppery-red that reflects rather than allows light through. When you first taste The Reverend – respect is immediately given – there is a sweetness that hides the alcohol content – who would have believed that in the mug was a 10% brew! Who knew Belgians could be so tasty! Enjoyment factor: Clearly an award-winning brew in the making! I guess I should have sensed royalty in the Red Metallic foil around the cap! 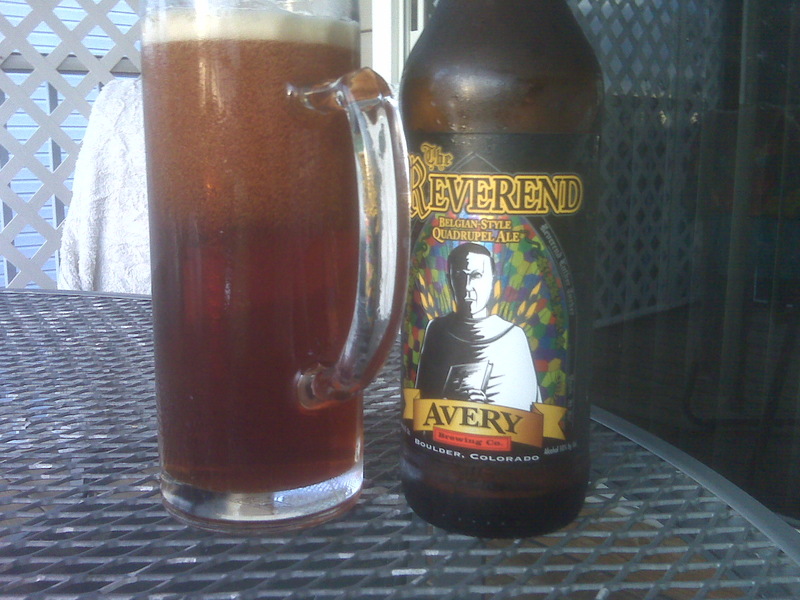 The Reverend inspires confidence and is malty and amber-like with a caramel flavoring but not hoppy. Reminiscent of my Canadian upbringing as it reminded me of MacIntosh toffee chunks but much more lingering flavor.